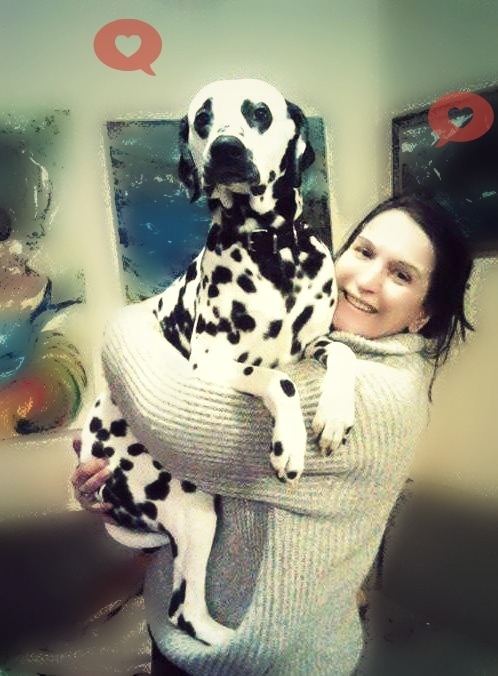 My dog Buddha and I... My greatest love, greater from day to day... Love his every spot! And love he giving me is priceless and make me so happy and my life much happier and healthier ! I'm grateful for him with all my heart!